Tripoli. Libya. 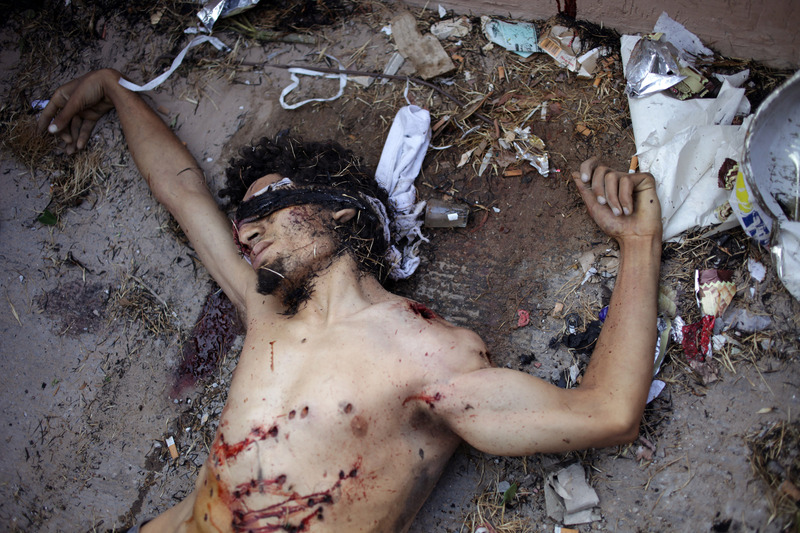 25th August 2011\nBody of a rebel fighter in Abu Salim, the last Gaddafi stronghold in Tripoli, which the rebels stormed late in the afternoon after fierce fighting.